In Expanse Season 3 Episode 11 "Fallen World", a medic described the risks of injury in microgravity. He said, "there is nothing you can do for the wounded in zero G except ease their pain. Without gravity, wounds can't drain. Blood pools and clots, tissue swells, any internal bleeding in a death sentence." I wondered if there were medical studies that supported this theory. Here's what I found. no astronaut has ever had a major injury or needed surgery in space. If humans ever again venture past low Earth orbit and outward toward, say, Mars, someone is going to get hurt. Below is a list of space themed movies and TV series I have watched and recommend. Some are my favorites and others are terrible, but all are worth trying to see which you might enjoy. The next few decades will be paramount in the history of human space travel. I challenge everyone to watch as many as possible. Be entertained while educating yourself and preparing mentally for the complex ethical questions and decisions we will experience in our lifetime. The Right Stuff - This is the story of the space program from the tie when Chuck Yaeger broke to sound barrier through Project Mercury. Project Gemini: Bridge to the Moon - Documentary about Gemini. In the Shadow of the Moon (2007) - This is a Documentary about the Apollo astronauts who landed on the moon. Apollo 12 (1996) - Documentary about Apollo 12 with interviews of all three crewmembers and top officials. Apollo 13 - The story of Apollo 13 from the perspective of the astronauts and Mission Control. 13 Factors that Saved Apollo 13 - This is an amazing documentary of the disastrous Apollo 13 mission. The Farthest: Voyager in Space - This 2017 documentary tells the 40 year history of the Voyager 1 and 2 probes from design and launch in 1977 to their exploration of Jupiter, Saturn, Uranus, Neptune, until they left our solar system and are now in interstellar space. It won Best Feature Documentary at Ireland's 2018 IFTA Film and Drama Awards. Kingdom of Saturn: Cassini's Epic Quest Prime Video - Documentary about the Cassini spacecraft. The Martian - An astronaut fights to survive after he is stranded on Mars. Gravity (2013) Prime Video - A routine spacewalk becomes disastrous when satellites collide and cause a cascade of collisions in low earth orbit. Debris destroys the shuttle and space stations and astronauts struggle to survive. Europa Report - An international crew goes on a privately funded mission to search for life in the sea under the ice on Jupiter's moon Europa. 2013 Origin Unknown (2018) Prime Video - After a deadly crash a mission commander assists an artificial intelligence system to uncover mysterious object under the surface of mars. The Last Days on Mars - Astronauts discover fossilized evidence of life on Mars. Love (2011) Netflix, Prime Video - An astronaut spends years alone on the space station wondering what happened after loosing radio contact with Earth. Marooned (1970) - Three astronauts are unable to reenter Earth's atmosphere. Stranded - The crew of a lunar space station battles a shape-shifting alien life form. Lost in Space (1998) - See also the TV Series in the list below. The Robinson family After crash-landing on an alien planet, the Robinson family fight against all odds to survive and escape, but they're surrounded by hidden dangers.go to space and struggle to survive as they find a way home. Serenity - First watch the Firefly TV series listed below and then see Joss Whedon's movie. Gattaca - A young man who is born naturally aspires to be an astronaut in a world where one must be genetically engineered to qualify for the space program and many other aspects of society. Wing Commander - Two young space fighter pilots must warn Earth about an attack from an evil empire. Starship Troopers - Warriors travel to the home world of giant bugs that spit fire, eat brains and attacked Earth. Alien Arrival - An escaped prisoner crash-landed on a moon where she struggles to survive. The Beyond (2018) Prime Video - Astronauts are augmented with robotics and sent through a wormhole. The Titan - Much of the Earth is uninhabitable due to overpopulation, climate change and nuclear fallout. Scientists perform genetic engineering experiments on volunteers from the military in an attempt to evolve the human race for life on Titan. The Cloverfield Paradox - A multinational crew test a particle accelerator with hopes of solving an energy crisis but the experiment goes terribly wrong. Exploding Sun - An experimental space shuttle is hit by a solar flare during its maiden voyage and hurtles toward the sun. Infini - An elite search and rescue team investigate a biological outbreak on an off-world mining-facility. Orbiter 9 (Spanish with English subtitles) - A young girl spent all her life in a space pod after her birth and is traveling from Earth to a distant planet. Battle for Terra - This is an animation about the peaceful aliens on a planet that face destruction by the surviving humans who want to settle there. Dark Space - Six young friends go on a leisure spacecraft and try to survive after crash-landing on an alien planet. The Search For Life: The Drake Equation - This is a good documentary about the Frank Drake's equation and how is is used in our search for life on other worlds. Lifepod (1993) - This is a futuristic retelling of Hitchcock's classic thriller in which nine passengers escape a luxury space liner that is destroyed. Solis (2018) - An asteroid mining engineer wakes up in an escape pod that is hurtling toward the Sun. Incoming - Not very good? I didn't finish it. Space Race - This BBC documentary miniseries covers the space race from the end of World War II until the Moon Landing. I strongly suggest this series for exposure to some of the lessor known and more uncomfortable parts of history such as Wernher von Braun's complicity in war crimes. MARS (2016) - National Geographic channel created this amazing mix of documentary and sci-fi about the first to explore, colonize and mine Mars. BattleStar Galactica: The Mini-Series (2003) - This is a reboot of the original series from the 70s. Battlestar Galactica (2004) - Watch the Mini-Series First, then this series and finally Caprica. Caprica (2011) - This is a prequel to the Battlestar Galactica reboot series. Star Trek: Discovery - This series comes chronologically after Enterprise and before the original series. Lost in Space (2018) See also the 1998 movie in the list above. Human survival on Earth is at risk and the Robinson family are among the few who pass tests and are selected to make a new life for themselves in a better world. Ascension - This series follows a secret century-long mission that launches in 1963 to colonize a new world. Farscape - An astronaut accidentally passes through a wormhole and spends the series with alien fugitives on a sentient spaceship. Firefly - This cult series follows the eclectic crew of a small ship called the Serenity. Babylon 5 - A giant spaceship serves as a sort of UN in space where ambassadors from many alien races meet and work out their differences. The New Frontier - Each episode covers a Space Exploration topic. Dark Matter - The crew of a ship awakens with no memories, suspect each other and have to slowly get to now each other and build trust. They learn about evil corporations that rule the galaxy as they visit many space stations and worlds. Terra Nova - Refugees from Earth land and settle on a mysterious planet. Earth 2 - Explorers establish an outpost on a planet where they face hostile natives. Ancient Aliens - This series discusses theories about why some believe that aliens may have visited Earth in the ancient past. Ancient alien theories could solve many mysteries on Earth. You'll learn about the similarities in design features that have been discovered at the ruins of the Vijayanagara Empire in India, the Mayan cities in Latin America and the Pyramids in Egypt. You'll also hear theories about some of the design features that cannot be reproduced with modern technology. The 4400 - People disappear across multiple decades and are all returned at once. Everybody thinks it was aliens. Interesting topics include genetic engineering, special powers, time and/or space travel. Continuum - A detective from the future travels to present day Vancouver in search of terrorists from the future. Interesting topics include time travel. You Bunch Of Idiots, Bill Requiring Encryption Backdoors Will Damage Australia's IT Industry. Many in the Australian IT industry have signed an open letter to the Australian Labor Party condemning their recent passage of a bill that requires encryption backdoors. You let us down. You let the entire industry down. You have shown us what you really are - a bunch of spineless weasels. Every tech expert agrees that the so-called "Assistance and Access Bill" will do significant damage to Australia's IT industry. You have made it harder for international companies to hire Australian talent, or have offices in Australia filled with Australian talent. Companies such as Amazon, Apple, Atlassian, Microsoft, Slack, Zendesk and others now have to view their Australian staff and teams as "potentially compromised". This is because law enforcement can force a person to build a backdoor and they cannot tell their bosses. They might sack them and leave Australia because of the law you just passed. A new study concluded that organic material on Ceres could be greater in concentration than previously thought. This is important information for scientists to consider as they evaluate data from two sample return missions over the next few years. The Japanese spacecraft Hayabusa2 is scheduled for orbital insertion around asteroid Ryugu in July, survey for a year and a half, land at least once, and return to Earth in December 2020. NASA’s OSIRIS-REx spacecraft is scheduled for orbital insertion around the asteroid Bennu in August with two years of planned survey, landing at least once and returning to Earth in September 2023. "Organic molecules are the chemical building blocks for life. Their detection on Ceres doesn’t mean life exists there or ever existed there; non-biological processes can give rise to organic molecules as well. But because life as we know it can’t exist without organic material, scientists are interested in how it’s distributed through the solar system." 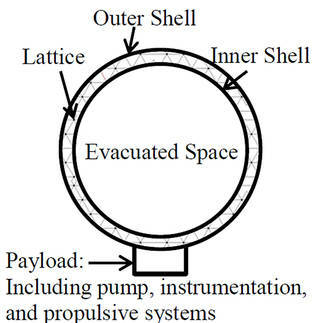 ... Mars appears to have an atmosphere in which the operation of a vacuum airship would not only be possible, but beneficial over a conventional balloon or dirigible. ...the large surface area of the vacuum airship would provide plenty of area for solar cells which would allow the vehicle to gather a large amount of solar energy ..."
"Once an attacker identifies vulnerable targets, the hack is quick (it can happen in about 10 seconds) and flexible. The impacted devices don't need to connect to anything, and the attack can even work when the Bluetooth on the victim device is already paired to something else." "As with virtually all Bluetooth remote exploits, attackers would still need to be in range of the device (roughly 33 feet) to pull off a BlueBorne attack. But even with the extensive and productive BlueBorne patching that has already happened, there are still likely plenty of vulnerable devices in any populated area or building." "hackers can leverage Bluetooth connections to penetrate and take complete control over targeted devices. BlueBorne affects ordinary computers, mobile phones, and the expanding realm of IoT devices. The attack does not require the targeted device to be paired to the attacker’s device, or even to be set on discoverable mode." 1) Install Blueborne Detector on your Android devices. 2) Click "Tap to Check" and heed the warning if your Android device is vulnerable. 4) Click "Check Devices Around Me"
Repeat steps 3 and 4 for every Bluetooth capable device.